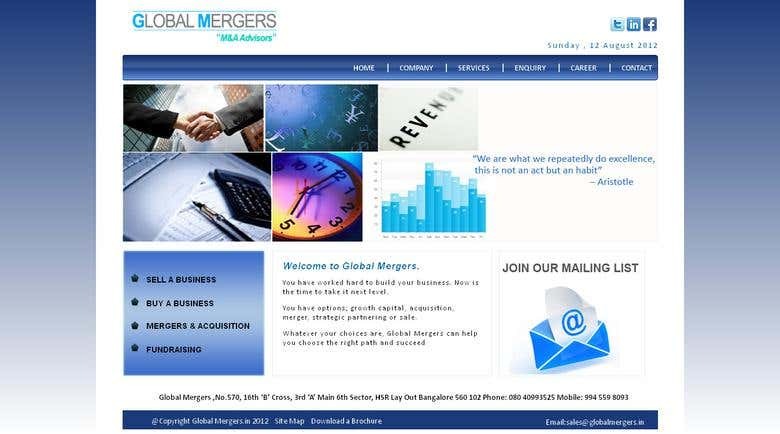 Global mergers is a static site which has been design and developed by our team for our client. The design has been developed as per the client requirement and targeted audience . Global mergers is developed for those who are seeking the advice over the selling there business or seeking profitable mergers .